I honestly don’t mind a “hand-me-down” from such a stylish person like Holly Pan! On defining her style in an interview with Socially Shoppable she says, “I’m classic, feminine with a bit of twist sometimes I go the other extremes the other times I go the punk or the rock and roll kinda thing”. Holly did not just plan to be a full-time blogger. As a matter of fact, her friends “pushed” her into full-time blogging and she’s definitely not doing badly at all! 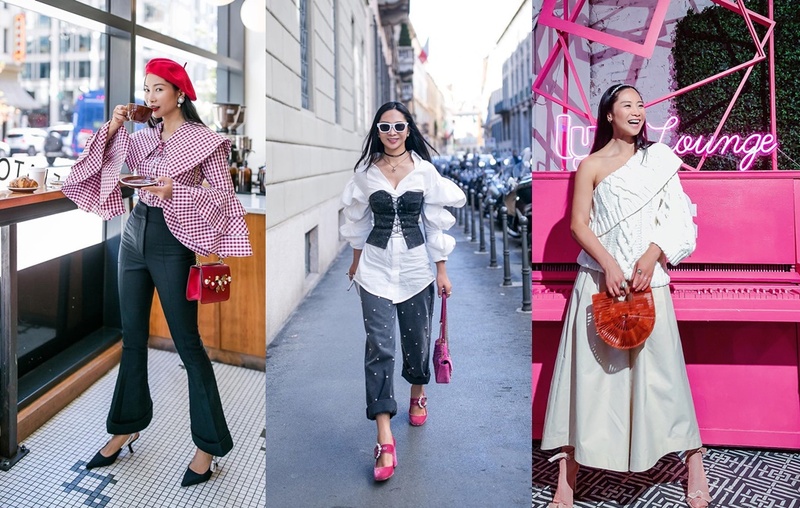 There are some women who know how to juggle between the whimsical, quirkiness, street style and still find the right balance- Holly is one of them! She has such a taste for high-end brands! A Balenciaga woman with a mix of hip, street and corporate, what’s not to love about Holly’s “all-in-one” style?. Shoes tell a lot about your personal style! You can tell from a section of Holly’s shoe rack that she is your fancy, chic and classy woman! There’s always something dramatic about her sleeves! Call it the whimsical-fancy sleeves or the exaggerated sleeves, we love her she does it! Classy and chic as always! Holly leaves us intrigued by the incredible details in her accessories. Her bags, shoes, purses or clutches have something to indicate that it’s a one of a kind accessory. We definitely need more style inspiration from Holly’s look because every day she gets more interesting with her looks! #BAAD2017 – Our Fave Beauty Looks From The Wedding Of The Year!